Dalzells of Markethill was launched in 1956 by husband and wife team Noel and Evelyn Dalzell. 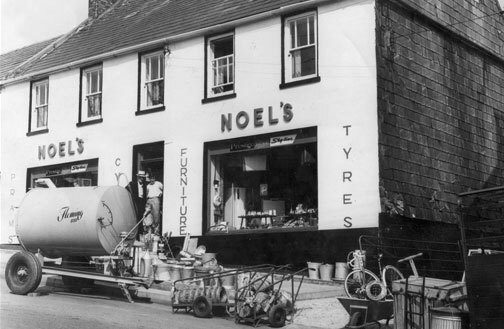 From humble beginnings the retail store was founded on the guiding principles of Quality, Value and Service – three principles which still hold true today and have been responsible for Dalzells becoming the largest independent family owned home appliances retailer in Northern Ireland and the Republic of Ireland. Our company, now under the excellent direction of Noel and Evelyn’s son and daughter-in-law, Trevor and Sharon continues to go from strength to strength and retails over 8,000 domestic appliances, beds and furniture both in store and online. We’re as fully committed to our founding values as ever which is great news for our valued customers. The Best Deals – Simply put we bring you the best deals. As we deal directly with the manufacturers we have the purchase power to negotiate on our customers’ behalf; and pass the savings directly to you. We also offer Multi-Buy deals on thousands of appliances along with a price-promise so why shop anywhere else? The Biggest Choice – We have over 8,000 home appliances ranging from kitchen and laundry appliances to home entertainment systems; from solid fuel stoves to gas & electric fires. Then there’s our range of beds, including adjustable beds and divans, chairs and furniture – in fact everything you need for your home available both in store and online. Convenience – We also know that you want better quality home appliances to make your life easier, the best possible deals and a way of shopping that fits in with your lifestyle. You’re our customer and we never forget that. To save you time you can shop 100% securely on Dalzell’s website and still get the same great domestic appliances, with the best deals available, delivered to you wherever you are. Then there are times when you want to visit us in store and choose from the many hundreds of gas and electrical appliances we have on display. We’re ready to give you expert advice and always on hand should you need any after sales care ranging from a service call to a duplicate receipt. Free delivery – Not only will you be able to get the best deals on home appliances, beds and furniture - we’ll even deliver free across Northern Ireland and Counties Monaghan, Louth and Dublin in Ireland. If you live elsewhere we’ll apply a modest delivery charge depending on the type of appliance or item of furniture you buy. We can even uplift your old appliance and dispose of it properly for you. 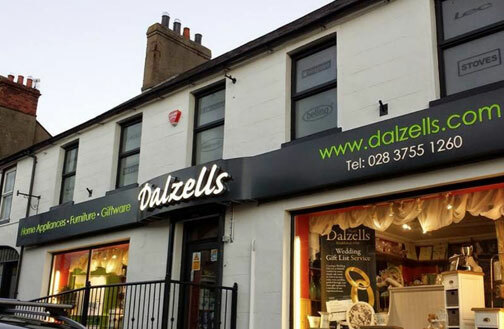 Why not visit Dalzells of Markethill – for everything you want for your home, think Dalzells.